Inalsa IBT 02 Beard Trimmer is the perfect beard trimmer that suits all your needs! 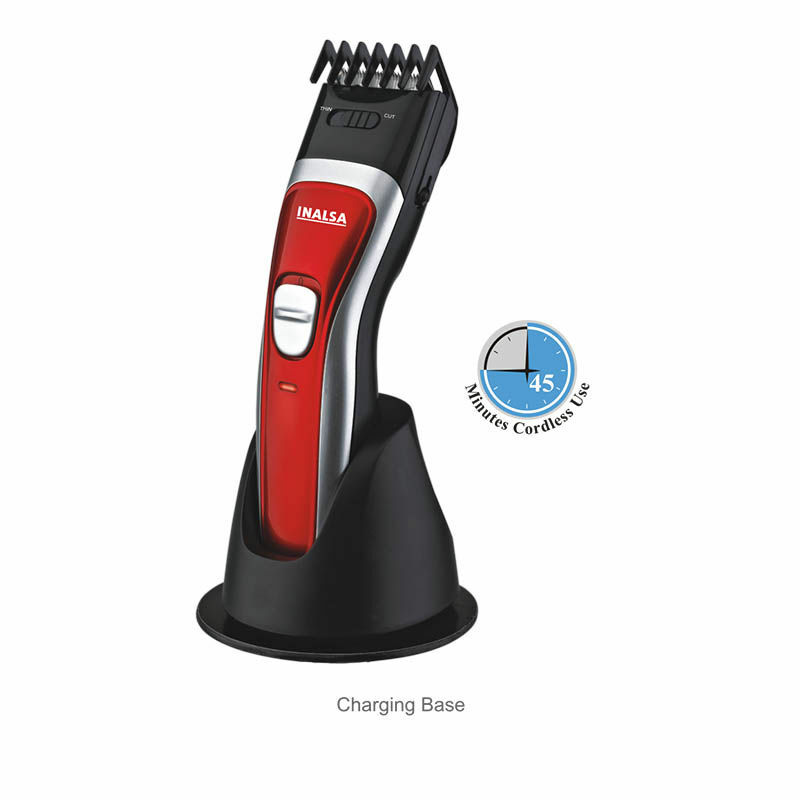 This beard trimmer from Inalsa features 5 lengths settings starting from 3 to 15 mm and gives 0.8 mm precision trimming. What makes this beard trimmer even more efficient is that it comes with a high performance stainless steel cutting blade. Its rechargeable battery provides around 45 minutes of cordless use. The head of the trimmer is detachable which enables easy cleaning. Guide comb is provided along with the trimmer. Additional Information: Founded in 1967, Inalsa is a subsidiary of Taurus Group, headquartered in Spain, one of the most popular brands in Europe with its innovative product range of appliances. Their products comply with stringent GS, CE, RoHS, ISI test standards and are manufactured under ISO quality systems at different production centers. Currently, its range expands to around 30 product categories some of them including food processing, cooking applicances, personal care and grooming products. Explore the entire range of Trimmers available on Nykaa. Shop more Inalsa products here.You can browse through the complete world of Inalsa Trimmers .